2/3 Vincennes - Bel Avis (GANYMEDE) never misses his targets. For the last day of the winter meeting, his prey was the Prix du Plateau de Gravelle (Gr.3). 24/2 Vincennes - Magnificent Bélina Josselyn! Winner of the Prix d'Amérique 2019 and of the Prix de France 2018, the best european mare, by LOVE YOU, captures the third jewel, the Prix de Paris (Gr.1). 17/2 Vincennes - EXPRESS JET defeats Enino du Pommereux (Coktail Jet) and Earl Simon (Prodigious) in the Prix Ovide Moulinet (Gr.2). Victorious of Prix de La Gacilly, Darling Lorraine offers to GOETMALS WOOD his second win of the day. 7/2 Vincennes - Placed second to Ferreteria in the Prix de Pardieu (Gr.2m), Flicka de Blary (SAM BOURBON) takes home the Prix André Théron (Gr.3m). With a touch of class! 3/2 Vincennes - EXPRESS JET wins in brilliant style the Prix de Rouen (Gr.3). 27/1 Vincennes - So elegant, so fast in the last furlong, Bélina Josselyn offers to LOVE YOU a second Prix d'Amérique (Gr.1), six years after Royal Dream. 19/1 Vincennes - In the Prix de Pardieu (Gr.2m), Ferreteria (GOETMALS WOOD) takes back the leadership of the 4yo mares "au monté", defeating Flicka de Blary (SAM BOURBON). The Prix de Courtemer 2019 will remain as the fourth consecutive success of Dédicace de Chenu (GOETMALS WOOD), au monté. At Caen, Le Mans and twice at Vincennes. 14/1/2019 Vincennes - Daytona Jet (GOETMALS WOOD) dances in the Prix de Roubaix (Gr.3m), his first group victory, the fourth, au monté, at Vincennes since september 23. 10/1/2019 Cagnes-sur-Mer - Despite a twenty-five meter handicap, Bel Avis (GANYMEDE) dominates the Prix de la Côte d'Azur (Gr.3) ; his half-brother Balbir places third in front of Voltaire Gifont (QUAKER JET). 23/12 Albenga - Voltaire Gifont (QUAKER JET) gains his first group I, the Finale del Campionato dei 4 Anni (Gr.1). 16/12 Vincennes - The very talented Favorite Fligny (ROCKFELLER CENTER) places second to Face Time Bourbon in the Critérium des 3 Ans (Gr.1). Balbir (GANYMEDE) wins as a warrior the Prix de Châteaudun (Gr.3). 2/12 Vincennes - Favorite Fligny (ROCKFELLER CENTER) masterfully wins Letrot Open des Régions - 3 ans (Gr.3)! 11/11 Eskilstuna - Following the brilliant attempts of Fanny Chenal (Breeders' Crown - 3yo fillies - Gr.1), Jaguar Dream (Breeders' Crown - 3yo colts - Gr.1) and Wild Love (Breeders' Crown - 4yo mares - Gr.1), all three placed fourth, LOVE YOU finally hits the center of the target with Selmer I.H., who defeats Perfect Spirit in the Breeders' Crown of the 4yo colts (Gr.1). 12/10 Vincennes (night) - In company of Ready Cash and Muscle Hill, GANYMEDE will remain as one the three kings crowned during the great european evening! 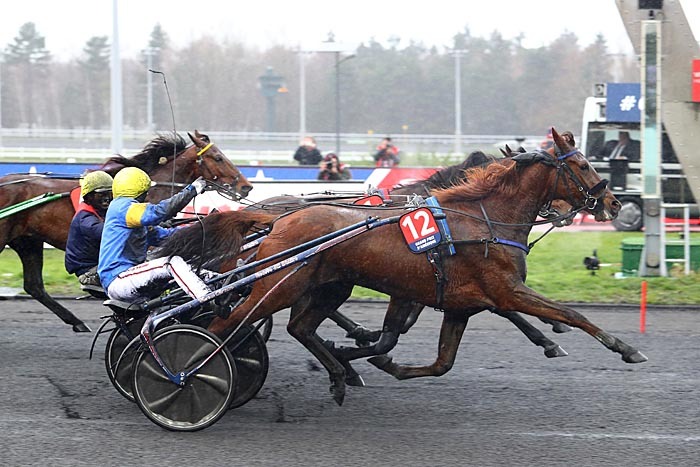 His son Dijon masterfully controls the Championnat européen des 5 Ans (Gr.1) in front of Orlando Jet and Django Riff, for a third group I victory, the first in France. 23/9 Vincennes - Direct Way (QUAKER JET) captures a second consecutive group III, the Prix Emile Bézière (Gr.3). 8/9 Vincennes - Previously winner of the Prix Pierre Gamare (Gr.2m), Ferreteria (GOETMALS WOOD) doubles in the Prix de Basly (Gr.2m), defeating again Feeling Cash. 1/9 Vincennes - The Critérium des 4 Ans (Gr.1) is perfectly confirmed in the Prix Jules Thibault (Gr.2)! For his first start since may, Enino du Pommereux (COKTAIL JET) beats again Express Jet (GOETMALS WOOD) and Earl Simon (Prodigious). 25/8 Vincennes - Dominated by those same colts in may and june, Ferreteria (GOETMALS WOOD) is back in the game, winning the Prix Pierre Gamare (Gr.2m) in front of Feeling Cash and Fado du Chêne (Saint-Léger des Trotteurs - Prix d'Essai). The excellent Direct Way (QUAKER JET) gains his first semi-classic event, the Prix de Provence (Gr.3). 20/8 Vincennes - Dubaï d'Essarts (KAISY DREAM) becomes semi-classic winner for her first try "au monté" in the Prix Hervé Céran-Maillard (Gr.2m). 12/8 Enghien - Second of the Prix de Villiers, then fourth of the Prix de Milan (Gr.3), Classic Connection (LOVE YOU) brilliantly finds the light in the Prix de Genève (Gr.3). 28/7 Enghien - Dijon (GANYMEDE) controls the Prix Dominique Savary (Gr.3). 15/7 Enghien - In the Prix de Bruxelles (Gr.3), Uza Josselyn (LOVE YOU) beats this time the 2 150 m course record. New mark : 1' 10"5! 30/6 Enghien - Only six days after her remarkable performance behind Bold Eagle in the Prix René Ballière (Gr.1), Uza Josselyn (LOVE YOU) trots 1' 9 (a new track record! ), defeating Dijon (GANYMEDE) and Amiral Sacha (GANYMEDE) on the mile of the Prix de Washington (Gr.2). 20/6 Reims - Comtesse du Chêne (QUAKER JET) brilliantly wins the Grand Prix de la Ville de Reims (Gr.3 - G.N.T.). 9/6 Vincennes - Bélina Josselyn (LOVE YOU) keeps her title in the Prix Chambon P (Gr.2), beating Bird Parker and Amiral Sacha. Super Fez (LOVE YOU) is again victorious at Vincennes, capturing the Prix de Villeneuve-sur-Lot. 5/6 Vincennes (night) - El Villagio (LOVE YOU) pockets his first group, the Prix Caecilia (Gr.3). 25/5 Vincennes (night) - 1' 9"4 when third of the Grand Critérium de Vitesse de la Côte d'Azur (Gr.1) in march, 1' 10"9 in the Prix du Crépuscule (Gr.3 - 2 100 m autostart) tonight! Dijon (GANYMEDE) enjoys a renewed success in a group at Vincennes, in front of Une Sérénade. 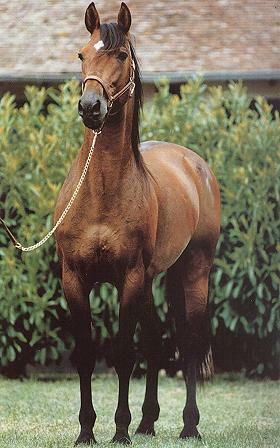 Vaquéro du Mont (KAISY DREAM) places third. 5/5 Vincennes - Enino du Pommereux offers to COKTAIL JET a first Critérium des 4 Ans (Gr.1). 3/3 Vincennes - Two wins for LOVE YOU on the last day of the Paris-Vincennes winter meeting! In the Prix du Plateau de Gravelle (Gr.3), Uza Josselyn beats again Afghan Barbés. As it occurred in december int he Prix de Châeaudun (Gr.3). Later in the afternoon, Décennie defeats Dominicana (Rocklyn) in the Prix de Maurepas. 1/3 Vincennes - The so promising Ferreteria (GOETMALS WOOD), already winner of the Prix Holly du Locton (Gr.2m), repeats in the Prix Ali Hawas (Gr.2m). With a touch of class! Excellent fourth of the Critérium des 3 Ans (Gr.1), Enino du Pommereux (COKTAIL JET) deserved a prestigious victory ; he gains it in brilliant style in the Prix Vindex (Gr.3). 18/2 Vincennes - Winner of the Prix de Faulquemont (Gr.3) in may 2017, then fourth of the Gran Premio Citta di Napoli in july, Voltaire Gifont (QUAKER JET) comes back as a reminder in the Prix d'Orthez (Gr.3). 15/2 Vincennes - Ferreteria (GOETMALS WOOD) deeply seduces in the Prix Holly du Locton (Gr.2m), remaining unbeaten in three races "au monté". 11/2 Vincennes - In the Prix de France (Gr.1), Bélina Josselyn (LOVE YOU) catches up with Bold Eagle and defeats him for the first time. 8/2 Vincennes - Placed fourth three times "à l'attelé" at this level (groups II and III), Elusive Feeling (GOETMALS WOOD) finds the light "au monté" in the Prix de Lunéville (Gr.3m). 3/2 Vincennes - Elsa du Pommereux (COKTAIL JET) shines in the Prix d'Avignon (Gr.3). 21/1 Vincennes - Cash Maker (COKTAIL JET) wins the first group of his career, the Prix de Dinan (Gr.3). Express Jet (GOETMALS WOOD) brilliantly imitates him in the Prix Bellino II (Gr.3). 20/1/2018 Vincennes - Already winner of the Prix Maurice de Folleville - Finale du Grand National du Trot 2017 (Gr.2), Bel Avis (GANYMEDE) hits his second target of the winter, the Prix de Brest (Gr.3). Extremity (COKTAIL JET) pockets the Prix d'Argences. Picture of In Love With You by Gérard Forni. Pictures of Hermès du Buisson, Goetmals Wood at Argentan and Pearsall Hanover by Fabrice Simon.